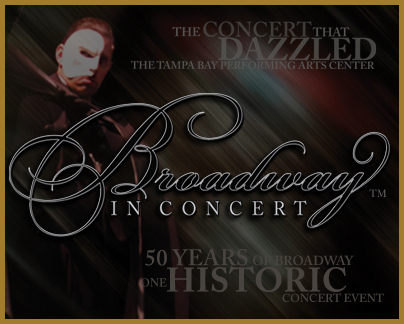 Friday, Dec. 4, 8 p.m.; Saturday, Dec. 5, 8 p.m.; Sunday, Dec. 6, 3 p.m. - Broadway in Concert, this show is in its 4th year of touring and is a retrospective montage of 50 years of Broadway&apos;s biggest hits! The Salerno Theatre Company performs all your favorites, from Annie Get Your Gun, My Fair Lady and Chicago to Phantom of the Opera, Les Miserables and Wicked! Admission: $18 for members, $25 for non-members! Thursday, Dec. 10, 6 - 9 p.m. - An Evening of the Arts - Visionary Women, is a discussion of Dalia Condis&apos; work and the famous women she has painted. Then join in as the Center celebrates the National Museum of Women in the Arts with an Artist Reception, which will include an award ceremony, live music, book and poetry readings. Admission: FREE, refreshments will be served!!!!! Saturday, Dec. 5, 9:30 a.m. - 12:30 p.m.; Saturday, Dec. 12, 9:30 a.m. - 12:30 p.m. - Winter Magic Workshops, where children 6 to 12 years old will spend a day at the Center and develop their creativity through a variety of holiday activities including candy making, holiday decorations design, card design, gift bag design, crafts and holiday games. Admission: $30 per workshop for members, $35 per workshop for non-members. Advance registration required. Friday, Dec. 11, 7:30 p.m. - Jazz with Jim - The Music of Richard Rodgers, with Jim Burge and the Jazz Directions. Songs by this great writer include: Where or When, I Could Write A Book, It Might As Well Be Spring, My Funny Valentine and more. Admission: $7 per person. 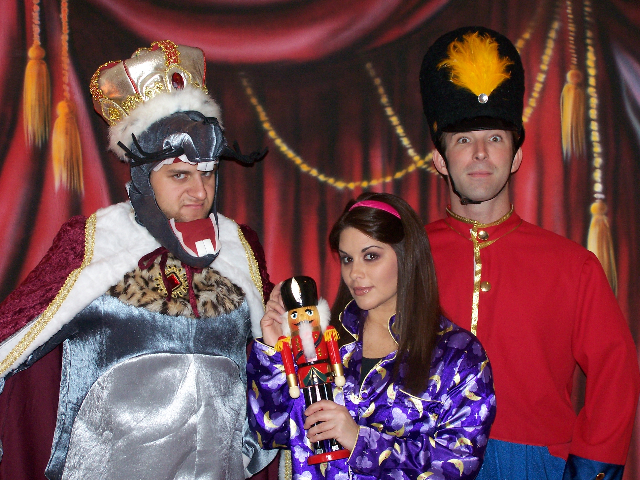 Sunday, Dec. 13 at 3 p.m. - The Nutcracker, an original play presented by the Play&apos;n Around Traveling Children Theatre. Join Clara and Nutty the Nutcracker on their magical adventure to save the princess from evil rat king Salsabar. Admission: $7 for members; $10 for non-members; FREE for children under 4. Friday, Dec. 18 at 7:30 p.m. - Chorus Angelorum does the Holidays - Chorus Angelorum, named from the Latin for a “Choir of Angels”, is a premier volunteer vocal ensemble of male and female voices. While the group generally performs as an a cappella ensemble, with a remarkable reputation for vivid interpretations of vocal literature from the Renaissance, Baroque, Classical and Contemporary periods, the group has also performed with various Tampa Bay instrumental ensembles. Admission: $10 for members; $15 for non-members. Saturday, Dec. 19, 1 p.m. and 4 p.m. - Two Holiday Concerts - One day. Two incredible performances. Join the Center as they celebrate the achievements of your friends, family and neighbors as they perform. So, there are plenty of things to do, so get planning to have some great times! Tickets for events can now be purchased online at www.CarrollwoodCenter.org. I&apos;m sure you can find some great info there too! As always, keep checking back here because we are just getting started to bring you great things to do in Tampa Bay for the holidays, as well as great Tampa Bay area events.